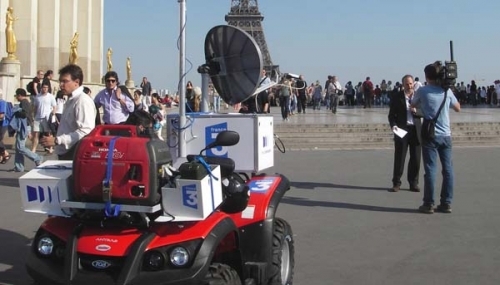 French uplink company, Films du Soleil, found a novel way to cover the presidential elections: they turned a Quad bike into a mobile feed point. 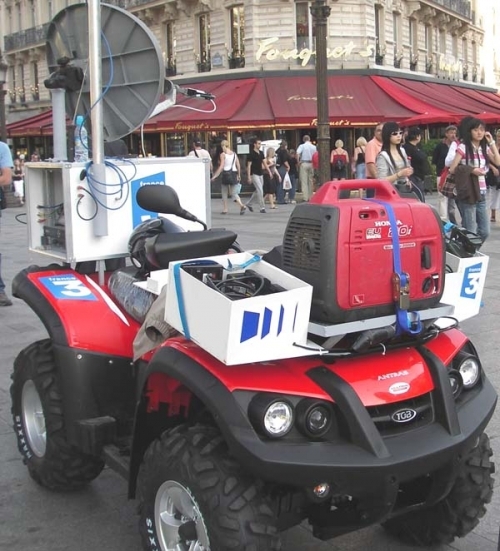 29.04.2007 French uplink company, Films du Soleil, found a novel way to cover the presidential elections: they turned a Quad bike into a mobile feed point. Films du Soleil found a novel way to cover the presidential elections.